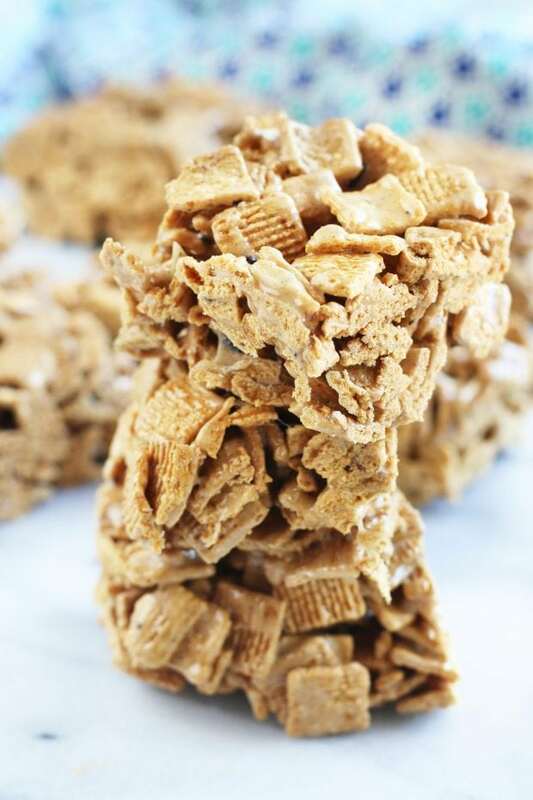 Gooey Golden Grahams Cereal Treats are the perfect dessert to indulge in when you are craving a delicious cereal fix. 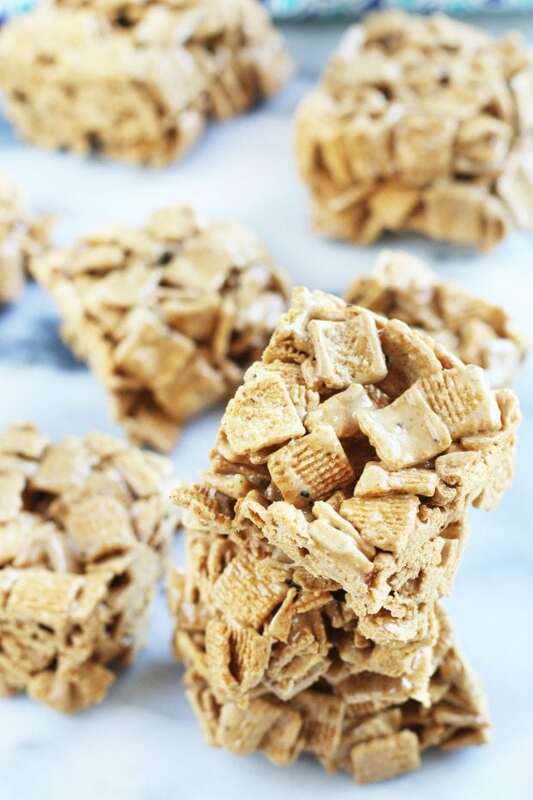 They are easy marshmallow treats to make and they will bring you straight back to your childhood with every sticky, crunchy bite! Go ahead and treat yo’self. There is this sandwich shop I would go to once and awhile that made every cereal marshmallow treat you could possibly imagine. 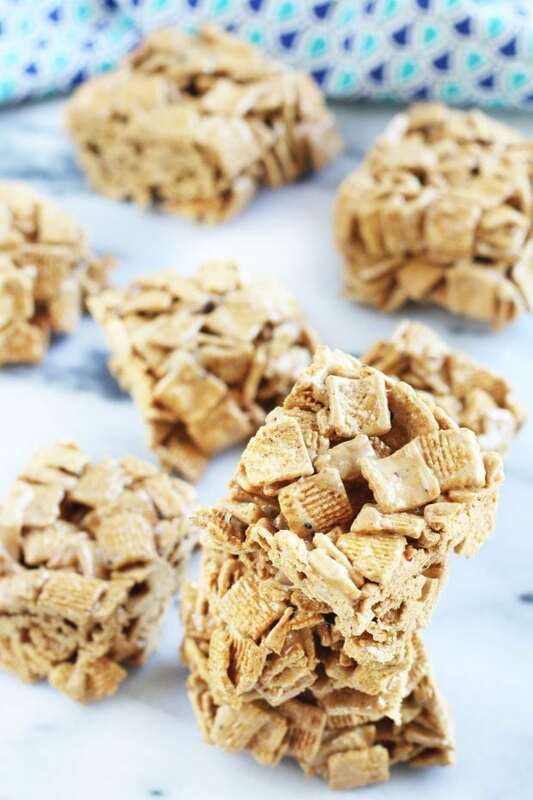 From Rice Krispies to Cocoa Puffs to Cinnamon Toast Crunch, I would be over the moon whenever I turned the corner to head to that sandwich shop. Now that I am no longer heading downtown as often as I used to, I have been without my cereal treat fix for waaaaaay too long. They used to be in my monthly cereal rotation back when I ate cereal literally every. single. day. I freaking LOVED cereal as a kid, and I would never divert from eating it when I got up. Eggs and bacon? No thanks. Pancakes or waffles? I’ll pass. JUST GIVE ME THE CEREAL! So why not make them into a daily dessert, right? Who in the world could resist such a gooey decadent mess of your favorite childhood (or adult, because at almost 32 I am still an 8 year old at heart) cereal?! The correct answer is NO ONE. 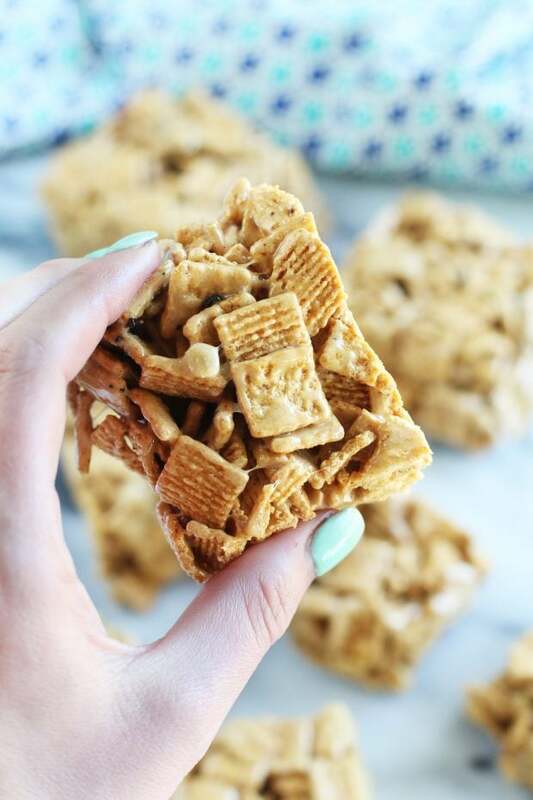 These treats will win the hearts of anyone you are feeding, regardless of their age. 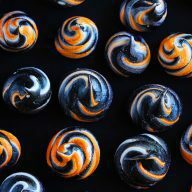 They are fun and whimsical, not too mention highly addictive so don’t plan on limiting yourself to just one. 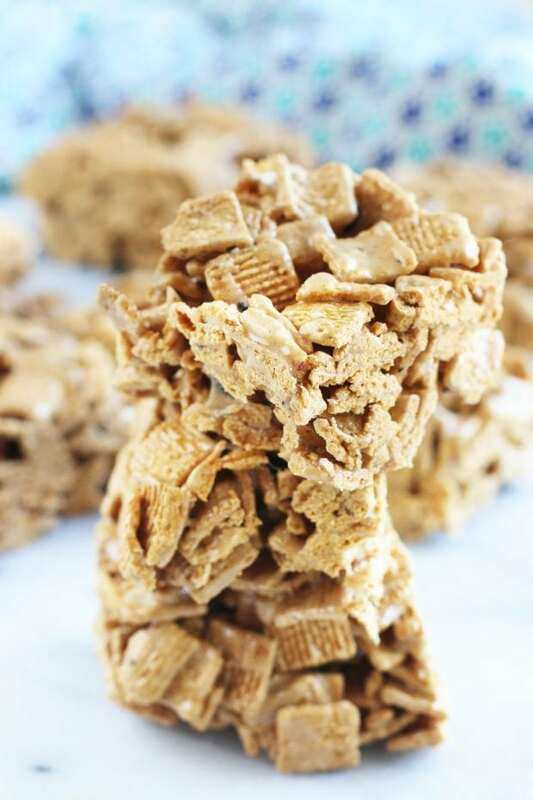 It’s just like the rice krispies treats that you grew up with, but made with your favorite golden and delicious cereal. 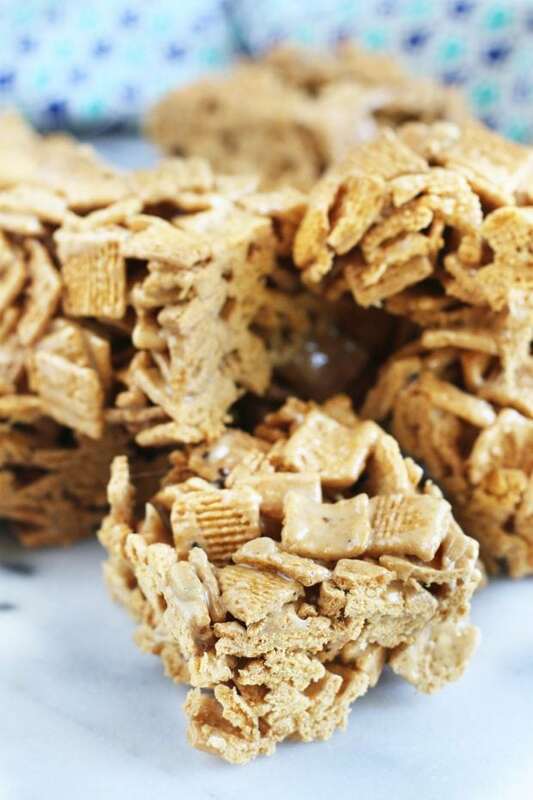 They are perfectly chewy and crispy in every single bite. You won’t be able to stop eating them, I’m just saying. 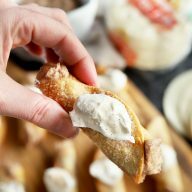 They are the perfect crunchy sticky mess for you to stuff you face with. Plus you can lick your fingers clean when you’re done. Yep, that’s what I call heaven. Easy cereal treat heaven. I mean, seriously easy. 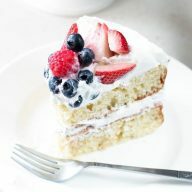 Recipes don’t get easier than this and it’s just the treat I want every single day in life. for everything from making these treats to baking cakes. 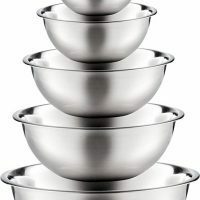 Premium Mixing Bowls with Lids are the bowls that I love to use again and again for everyday cooking and baking. They are awesome! 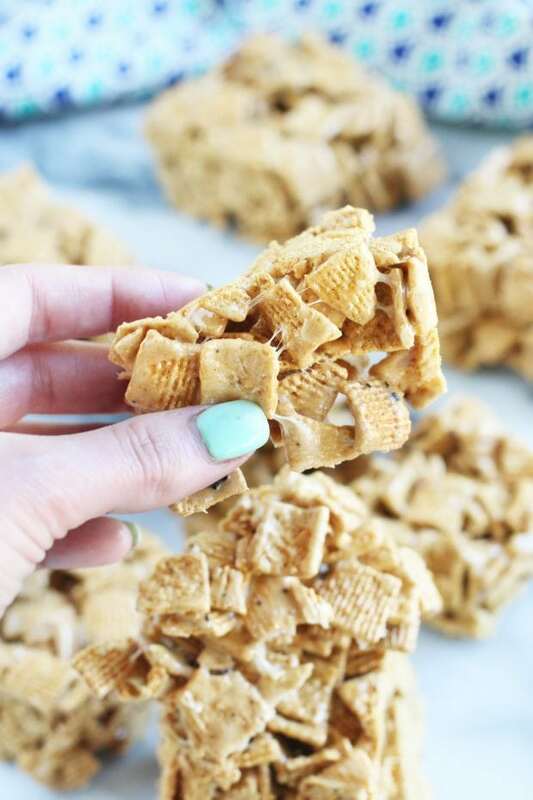 Pin these Golden Grahams Cereal Treats for later! 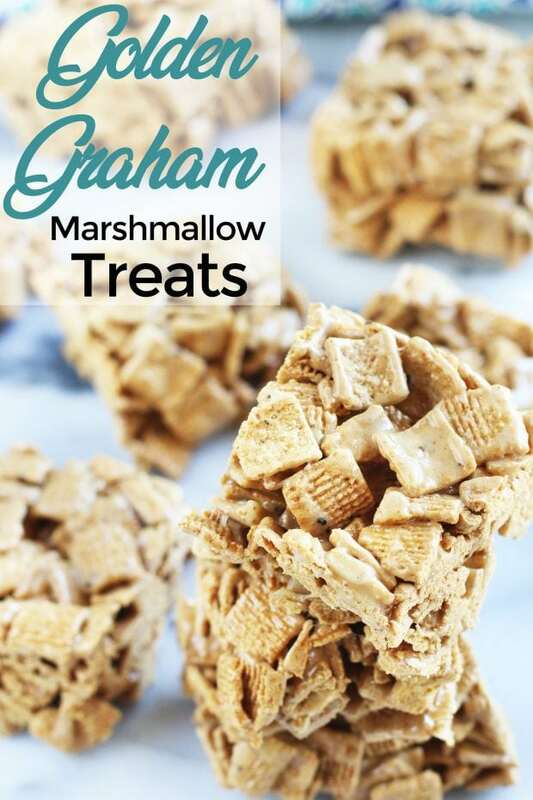 The classic treat we all know and love, made with Golden Grahams! 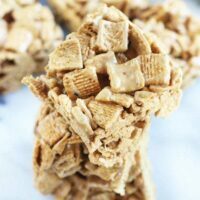 This recipe can be recreated with any of your favorite cereals! In a medium saucepan over medium heat, combine the mini marshmallows and butter. Stir until the mixture is melted, then remove from heat. 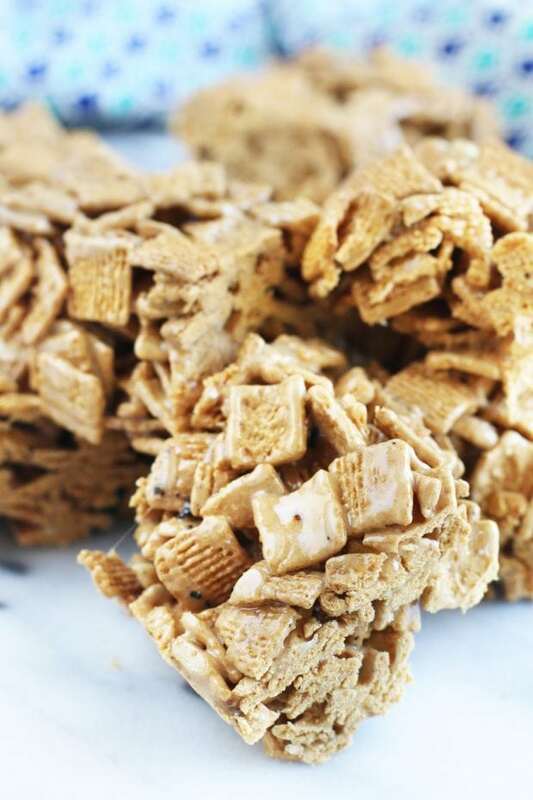 Coat a large bowl lightly with cooking spray, add the cereal and marshmallow sauce, stir until the cereal is well coated with the sauce. 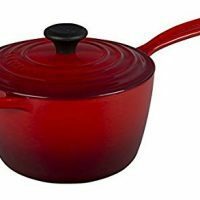 Add the cereal mixture to a small casserole dish that has been coated with cooking spray. Spread with a spatula (one that’s been coated with the spray is helpful since this mixture gets sticky!) until one even layer. 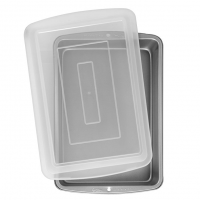 Refrigerate for at least one hour before cutting into treats. Oh god, that last picture is awesome. Gooey goodness! That sounds brilliant! I’m going to have to get that bowl and try it! I wonder if rather than putting it in a casserole dish if you could just make small little piles of treats. Trying to think about a more “rustic” look. I think you could definitely do that! I would advise wearing plastic gloves and spraying them with nonstick spray before forming the piles, otherwise it’ll get pretty messy, lol!